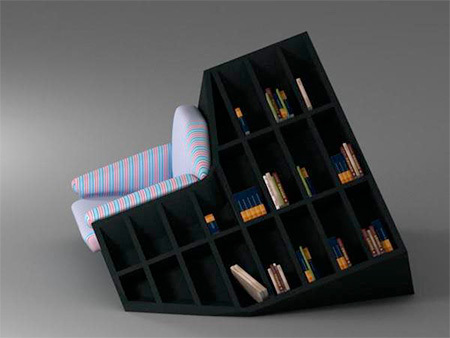 Modern chair with integrated bookshelves designed by Tembolat Gugkaev. 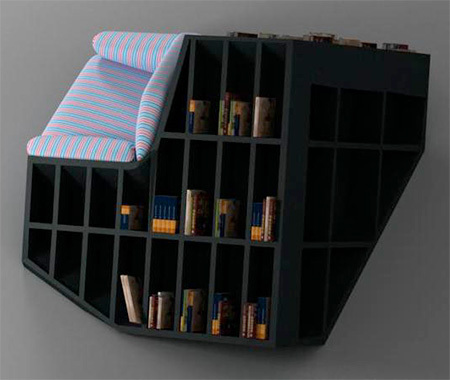 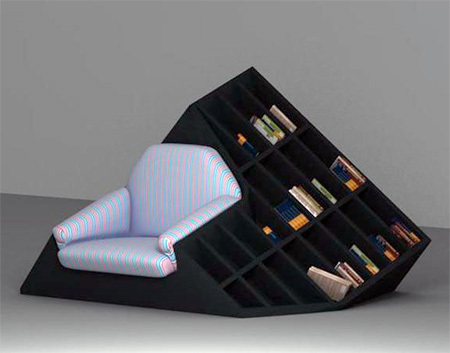 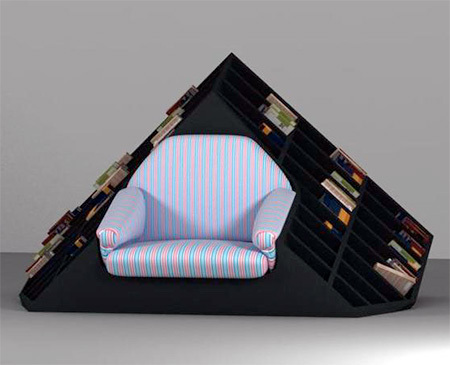 Futuristic, space-saving furniture – hybrid of armchair and bookshelves. 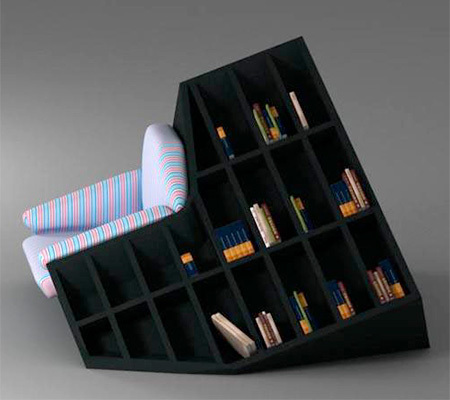 well that’s taking up a lot off space..